Edwin addresses the most common criticism of Limbo’s morbid masterpiece. Warning: contains major spoilers. It’s saying something about the state of play when our top Game of the Year nominee isn’t a multi-million-dollar turn-of-the-century open worlder, equal parts moonshine and marketing budget, or even a hyper-sexualised beat ‘em up, but the downloadable platforming debut of a studio whose entire staff would fit behind one of EA’s reception desks. Xbox Live Arcade – help yourself to a pat on the back. Playdead’s Limbo is the sort of thing gaming could do with far more of – intelligent without calling attention to the fact, commercially grounded but not at the expense of a singular vision, neither scuttled by a publisher’s commitment to bottom lines nor puffed up by a designer’s ego. It’s also dark, sadistic, twitchy, a master of suggestion and a work of art from the roots of its monolithic trunks to the sparks that fly from its malfunctioning neon signs. The absolute best thing that can come of you reading this is your downloading the game and playing it, if you haven’t already, and if you have, playing it again. Nevertheless, Limbo has attracted criticism. It has been accused of failing to innovate, despite finding more ways to ravel conundrums out of the laws of physics than any game I’ve played post-LittleBigPlanet. A little more plausibly, Playdead’s narrative arc has been faulted, many players preferring the first chapter’s brooding swamp-forests and attendant arachnid menace to the more sanitised, intellectual thrills of the industrial estates they give way to. But above all else, there’s the issue of length. A complete playthrough takes 3-5 hours for around £10 or $15, an evening’s entertainment if you’re determined, and in an industry that prides itself on the substance of its offering as against film in particular, that ratio was always going to rub some people the wrong way. If it’s an understandable complaint, that doesn’t make it a valid one. The cliche ‘quality over quantity’ might have been coined with Limbo in mind. Its spare proportions are the product of a fearsome degree of focus, each and every element, from the deceptive softness of its peripheral vision to the weighting and placing of its metallic thumps, screeches and rattles, scrutinised for signs of redundancy. All games undergo this refining procedure, of course, but Limbo’s seems to have been especially rigorous – the developers have admitted to retiring around 70 per cent of the project’s original content – and given the surfeit of bling and tat we so often put up with elsewhere, that rigour is as refreshing as it is effective. 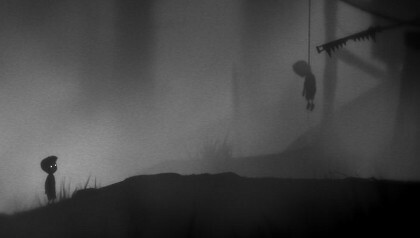 And Limbo is also a game that makes a point about length – or rather, about a quality all games possess that renders the notion of length meaningless. This should be apparent from the title, invoking the Catholic concept (unwritten in scripture, and thus of a fitting doctrinal uncertainty) of an afterlife for those barred from Heaven yet undeserving of punishment in Hell, a spiritual hinterland where lost souls await resolution. The game’s protagonist, sensitively described by the Telegraph’s Tom Hoggins as the shadow of a Bash Street Kid – ‘a twee outline, all floppy hair and short trousers’ – certainly qualifies as the latter. Similar beliefs occur in other forms of Christianity and beyond: to give an exhaustive list would be beyond the scope of this piece. Suffice to say that the key inherited idea where Limbo the game is concerned is that of stasis, of imprisonment, which necessitates for the human consciousness a cycle of failure, the unending performance of the same futile actions – a ceaseless return on oneself, on oneself as a fallible agent, in the absence of divine intervention. Escape is impossible, but to attempt it is human: this is Limbo’s crux. It doesn’t take a doctorate in theology to discern something of this from the get-go – being ‘stuck in limbo’ is, after all, a phrase from everyday speech – and part of Playdead’s achievement consists in making you forget it, refracting the monochrome inevitabilities of the title screen through the ambiguities of the environment itself, meshes of branch and crazily angled cogwork. Always reminiscent, never quite quantifiable, the world of Limbo is a giant lure, its lethal secrets begging to be drawn into pin-sharp focus at the centre of your vision. 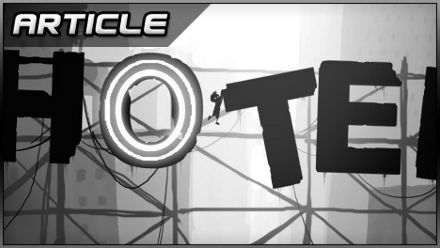 Posted in Features, and tagged with arthouse, indie, Microsoft, platformer, XBLA, Xbox 360. Limbo is a brilliant and memorably experience from start to finish and features the cleverest main-menu screen I’ve ever seen in a game. I’d also like to make a comparison between it and its XBLA Summer of Arcade stable-mate Hydro Thunder Hurricane. Sure the latter might last 2/3 times as long, but those are hours I wanted back. I wouldn’t have missed Limbo for the world. There is something magical about the subtle nods to transience permeating Limbo, and any ending with an openness to interpretation that isn’t ham-fistedly shoehorned in under the pretence of mystery gets my vote for progression. I didn’t feel robbed by the price, nor the length, and I can’t bring myself to play it again – in the best possible sense. II’m glad to hear that it’s a small company, that makes me feel better for supporting it. Limbo is a beautiful game with perfectly crafted gameplay. I, however, was very disappointed when the credits rolled in after only playing for 3 hours. I think I would have been more ok with the short gameplay if it were clear when I bought it. Game reviews rarely disclose the number of hours to complete.